I want to share with you some powerful new research on the popular supplement CoQ10 and its potential as a literal life saver. A new study shows that CoQ10 is such an effective supplement for powering muscles that it can even protect those with serious issues in the most important muscle of all – the heart. A recent study from the Journal of the American College of Cardiology: Heart Failure found that supplementing with CoQ10 can safely and effectively improve heart function. This is not only great news for those who already have heart function issues, but also for those who want to take preventative steps to ensure protection from cardiovascular concerns in the future. When the heart pumps, it delivers oxygen- and nutrient-rich blood to the body’s cells. When the heart lacks energy that allows it to pump to its full potential, cells struggle to get enough nutrient rich blood. This reduced ability to pump blood throughout the body is fairly common, and many people who suffer from it don’t even realize that anything is wrong. Common symptoms include chronic tiredness, swollen legs, rapid heartbeat, shortness of breath, and coughing, which make many everyday activities significantly more difficult. Mild cases may even feel symptom-less, but still need to be addressed for optimal long-term health. 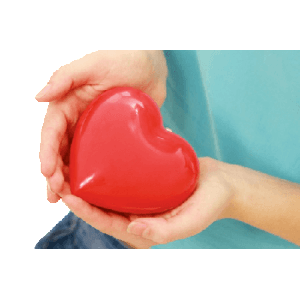 Depending on how much a person’s heart struggles to pump blood through the body, the New York Heart Association ranks each case one through four. The study from Journal of the American College of Cardiology: Heart Failure was performed on those with class three or four difficulties (the most severe cases) and found that those who supplemented with CoQ10 had a significantly lower risk of heart complications than those who took a placebo instead. Despite coming into the experiment with major heart function issues, those taking CoQ10 also saw a significant reduction in their overall risk for cardiovascular mortality. The researchers note that it is difficult to treat a heart that doesn’t pump strongly enough, partially because there are multiple causes. Standard treatments tend to block, rather than enhance, cellular activities. This is problematic because issues with the transformation of energy in the heart’s cells are often a major contributing factor to the heart’s inability to pump to its full abilities. CoQ10 therapy appears to be effective because it plays a major role in the synthesis of energy-boosting adenosine triphosphate (ATP), meaning that the heart’s cellular activities are enhanced (rather than blocked) and the heart gets the energy it needs to work effectively. The patients in the study took 100 mg of CoQ10, three times daily, for 2 years. Ubiquinol-QH, by Pure Encapsulations, is a very high-quality CoQ10 supplement and comes in 50 mg and 100 mg strengths that work great for replicating the treatment in the study. Ubiquinol-QH is also desirable because it is in the most bioavailable, readily-absorbed form of CoQ10 – ubiquinol. Many CoQ10 products are in ubiquinone form, but the body gets less of the CoQ10 from this source because ubiquinone always has to be converted into ubiquinol before it is able to be utilized. Click here to learn more about the differences. I hope this information is useful to you, and if you have any questions regarding the concepts discussed here or anything else, you can reach our customer service team at customerservice@oakwaynaturals.com or you can call them at 888-460-3091. 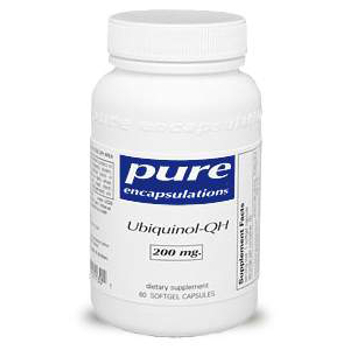 Ubiquinol-QH, by Pure Encapsulations, is a very high-quality CoQ10 supplement and comes in 50 mg and 100 mg strengths that work great for replicating the treatment in the study. Ubiquinol-QH is also desirable because it is in the most bioavailable, readily-absorbed form of CoQ10 – ubiquinol.